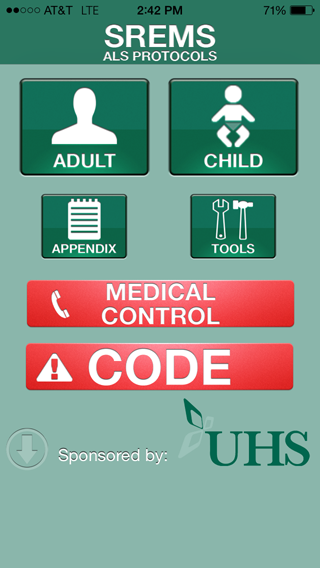 The SREMS ALS Protocols App is for Advanced EMT’s in the Susquhanna region of upstate New York. It provides a quick reference for the emergency protocols that ambulance providers utilize throughout pre-hospital care and transport. This was an extremely hybrid role where I was responsible for every facet of the app. I was working for my friends App Development Company and placed in charge of app strategy, UI/UX, and Development. I worked with the client to define the strategy and purpose of the app. Another member of the team handled portions of the graphic design, but I was responsible for the end to end user experience. I was also the lead developer on it and wrote about 80% of the code for the app. I ported a PDF document with the protocols into individual html files for viewing in the app.